Here is the great opportunity for jobinassam.in Readers. 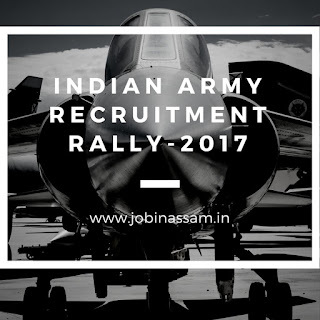 Indian army Invited candidate of all over India to Indian Army Rally 2017. Indian Army Invites people for various posts. Educational Qualification- Candidates should have passed 8th or 10th class accordingly from a recognised Board. Educational Qualification- Candidates should have passed 10+2 in Physics, Chemistry, Biology and English OR B.Sc. Degree with Botany, Zoology, Bio Science and English. Educational Qualification- Candidates should have passed 10+2 with Math/Accountancy and English. These posts are advertised by Indianarmy to recruit eligible candidates for their department. You can apply for the post if you have the eligibility mentioned above. Process of Application- Application process for this Indian Army job in Assam is Online. I have shared all the important knowledge for the upcoming Defence Recruitment here. This is completely free service for from me. 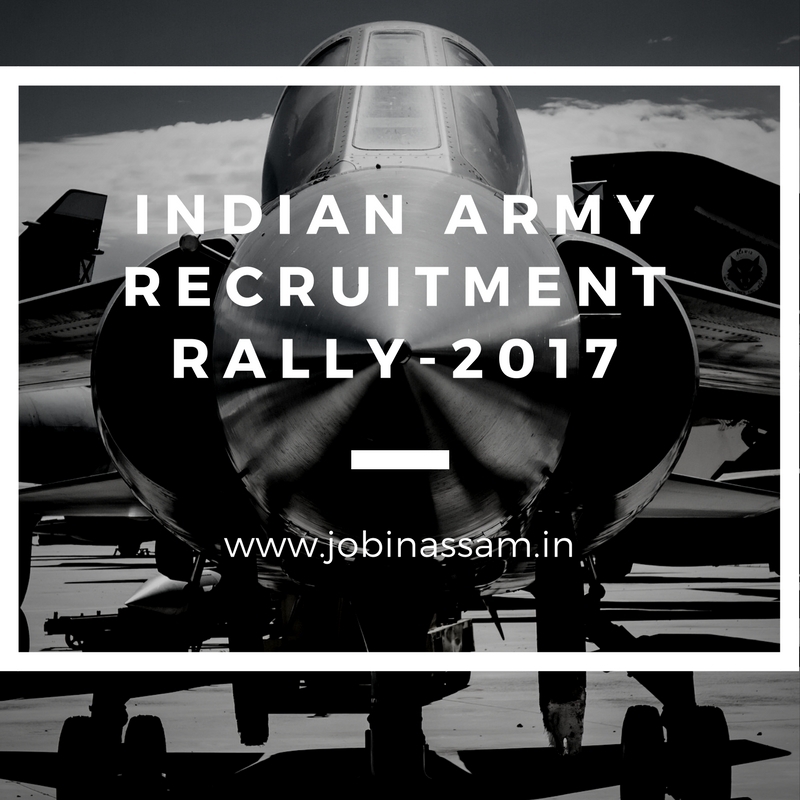 Indian Army will be a good job for you if you are eligible for the post mentioned above, apply before the last date. Moreover, monthly pay for the Indian Army job in Assam is also good.